How to Have a Healthy Brain - Dr. Andrew Dahlgren M.D. Imagine for a moment that you get in your car, in a hurry to go somewhere. You turn the key to start the engine, and it whirrs but the engine does not start. Oops, you forgot to get gas! Unlike your car, which is dormant between uses, whether you are awake or asleep, your brain is always in use. Sleeping activities such as cleaning out our cerebral spinal fluid, storing things that we did not remember during the day, and creating temporary paralysis that keeps us from acting out our dreams. What we eat impacts not only the structure and functioning of our brain, it also influences our mood. When we ingest food that contains lots of antioxidants, vitamins and minerals, we offer our brain protection from free radicals (waste materials formed when the body uses oxygen) that can damage our brain cells. The brain is highly susceptible to oxidative damage that can impair its ability to function at optimum levels. Nutritional psychiatry scientists have also found that what we eat influences our moods, how we feel, and our ability to process complex ideas. Fernando Gómez-Pinilla, a professor specializing in neurosurgery and physiological science at UCLA, reviewed over 160 studies that dealt with the effects of food on cognition with the goal of finding better ways to promote mental fitness. Omega-3 fatty acids (salmon, walnuts, and kiwis) offer improved memory and learning abilities and help with mood swings, depression and dementia. A dietary deficiency of omega-3 fatty acids has been found to be associated with an increased risk of dyslexia, bipolar disorder, attention-deficit disorder, dementia, and schizophrenia. Of the omega-3 fatty acids, DHA (docosahexaenoic acid) appears to be especially important as it is the omega-3 fatty acid that is most abundant in the cell membranes of the brain. It has been found to enhance synaptic plasticity (communication that occurs between neurons in the brain). It cannot be manufactured well by the body and must come through diet (salmon is rich in DHA). Folic acid in adequate levels is also needed to satisfactory brain function. Found in spinach, kale, and other dark leafy greens, yeast, orange juice, asparagus, broccoli, and avocado, folic acid deficiency is implicated in neurological disorders, cognitive impairment, and depression. It is an effective prevention against aging-related cognitive decline and dementia. Sugar is another food substance that has been shown to impair cognitive function, especially on memory-related tasks related to the hippocampus such as spatial activities. Researchers H. M. Francis and R. J. Stevenson, in a 2011 study, found that fat and refined sugar intake impaired memory tasks, memory recall, and reduced study participants’ ability to know when they were hungry or full. Probiotics (the healthy bacteria that colonize the gut) have been found useful in treating such maladies as IBS (irritable bowel syndrome), ulcerative colitis, urinary tract infections, and gastrointestinal issues. Interestingly enough, probiotics have also been found to enhance brain function by improving how well your body absorbs nutrients from your food. Our guts contain probiotics that help with our digestion. Unfortunately, the healthy bacteria that used to be available on foods is now pesticided or chlorinated out of existence. These healthy bacteria are also killed off by the antibiotics in our foods (many meat sources are fed antibiotics that transfer to us when we eat them). Supplementation with probiotics enables our gut to be better able to produce serotonin, approximately 95% of which is produced in the gut. Serotonin is needed for the transmission of messages between nerve cells which contract smooth muscles. Serotonin also helps in the regulation of sleep-wake cycles and the body’s internal clock, coordinates the nervous system, and is implicated in appetite, motor skills, and both cognitive and autonomic functions. Resveratrol has been shown in animal studies to improve memory and functioning of the brain. Caffeine stimulates the brain and central nervous system. Phosphatidylserine offers improved thinking and memory. Acetyl-L-Carnitine in animal studies prevents age-related decline and increases learning capacity. It may also help with improved brain function in mild dementia and Alzheimer’s. Gingko Biloba increases blood flow to the brain and improves focus and memory. Creatine improves memory and thinking in vegans and vegetarians. Bacopa Monnieri improves thinking and memory in healthy people and in people with age-related decline. Rhodiola Rosea helps to decrease fatigue and improve overall brain function. 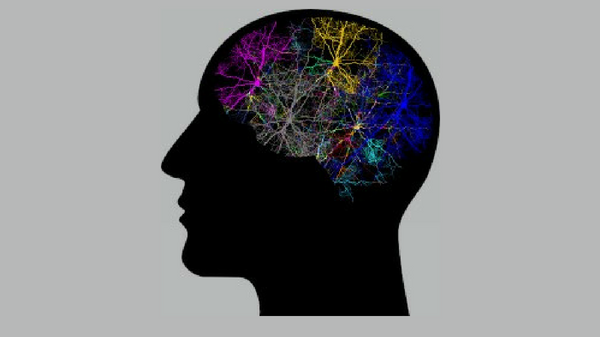 Mental stimulation inspires new nerve cell connections and can even help generate new nerve cells. Exercise also stimulates the growth of new nerve cells, resulting in better performance due to lower blood pressure, better cholesterol levels, and blood sugar improvements. Good nutrition (fewer processed foods, more organic and natural foods) offers an opportunity to develop less dementia or cognitive impairment. Lowering blood pressure staves off the risk of cognitive decline. Diabetes is a risk factor for dementia, so keeping your blood sugar under control is important. High levels of LDL, or bad cholesterol, are also implicated in dementia, so adjust your diet to reduce cholesterol. Forego alcohol, but if you must drink, limit it to two drinks a day. Strong social networks and social ties lower the risk of dementia. An American short story writer in the 1800s, Ambrose Bierce, is quoted as saying that the brain is “an apparatus with which we think we think.” Keeping our brain healthy is that best way we can think about this quote.